Great! You have made it to Video 2, which mean you are serious about getting a handle on your old insurance A/R. In this video we will talk about steps 3 and 4 of the Rapid Revenue Recovery Checklist. These steps include checking on claim status with the insurance companies and identifying the reason the claims were denied. 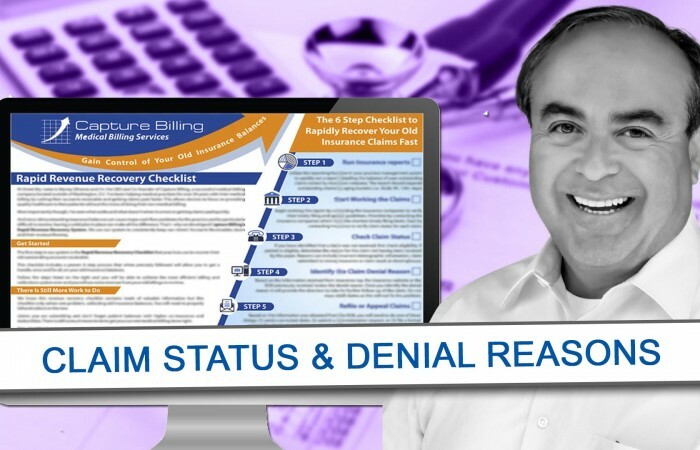 Knowing the denial reason will point you in the right direction to what you need to do to get those old claims paid. Continue to follow these steps and you are well on your way to getting paid. Tomorrow you will get another email with Video 3 of the Rapid Revenue Recovery Checklist series. 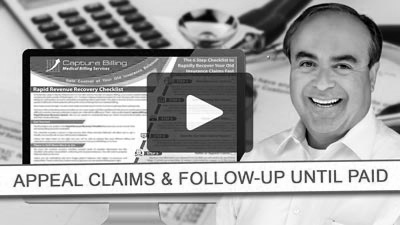 In tomorrow’s video, I will go over the final steps of the checklist– refiling and appealing claims as well as continuing your follow-up until the claim is paid.